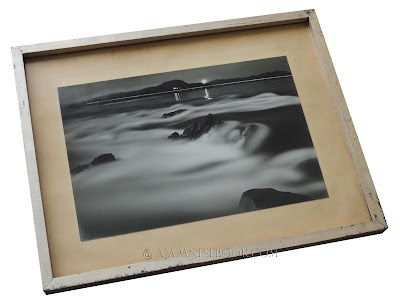 Description — Monochrome silver print (17.6 x 26.3 cm), framed (27.6 x 35.4 x 1.5 cm). Frame: golden wooden frame moulding, yellow paper matting, clear glass glazing, wooden back, clasps, unsealed, hook (wear to frame). 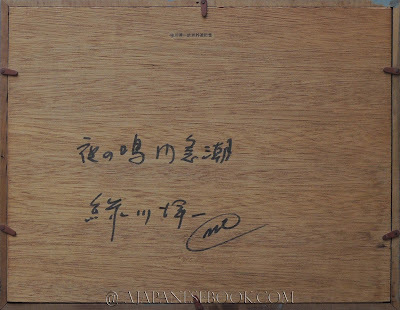 On the back of the frame: printed sticker ("Oushuu Gaiyuu Kinen": Anniversary of the Travel in Europe); titled and signed by Yoichi MIDORIKAWA (black felt-tip pen). État / Condition — Fine (light wear to frame). 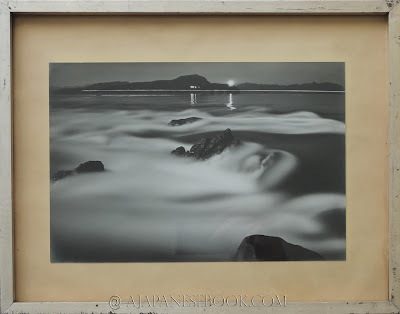 Remarques & avis / Review — One of MIDORIKAWA Yoichi’s astounding views of Seto Inland Sea, as a rare vintage silver print. Divers / Misc. — Ref. 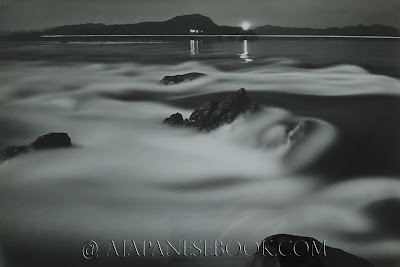 : The picture is reproduced in MIDORIKAWA Yoichi's masterwork, Setonaikai (1962), p. 26-27; and in: MIDORIKAWA Yoichi. Photo Technic: Hito to Sakuhin (1978), p.46-47.